All standard Stralis vehicles come with the following new features; New ZF Hi-Tronix automated gearbox, complete redesign of electrical architecture, complete new rear axle design, saving more weight, new rear suspension, new rear axle ratio specifically for Stralis XP only, triple A eco tyres, LED rear lights, new remote control locking with light test facility, new catwalk, new anti-idling system. In addition to this, the New Stralis XP comes with the following additional features; Triple A Eco Tyres, Smart EGR on certain models, Smart Auxilleries on certain models, TCO Smart report, TCO Smart advising, Uptime Guarantee, GPS predictive driving with Hi-Cruise. New Stralis offers a wide and well balanced range of engines to suit all applications and features mission-specific fuel saving devices giving the customer a downspeeding opportunity. Optimised injection timing further increases peak cylinder pressure and fuel efficiency. 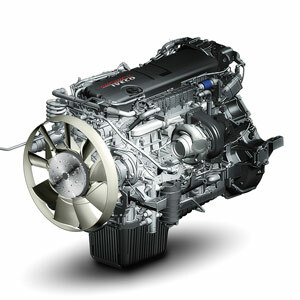 Smart EGR reduces consumption on long distance missions while offering all the advantages of the HI-SCR system. 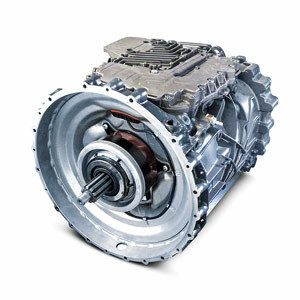 The Iveco Stralis has the new Hi-Tronix transmission which is new generation, 12 speed automated transmission with electronic clutch which offers the most advanced technology in its category. 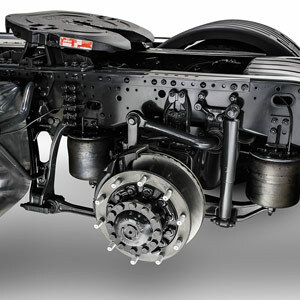 It is designed for almost twice the gearshifts and it extends transmission oil change intervals. The Hi-Tronix also has additional functionalities, such as maneuvering mode for low-speed operation. 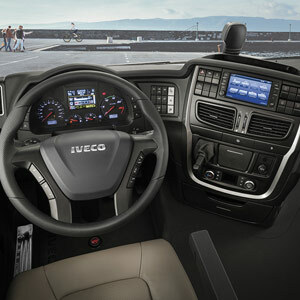 The new Iveco Stralis cabin is designed around the driver. Top-level comfort, safety and infotainment provide an excellent working environment for maximising productivity in all missions. Every feature on the Stralis is designed to improve well-being on board. Both the Stralis and Stralis XP can be specified with all cabin types and heights. The new Stralis state of the art equipment protects the driver with its electronic braking system + brake assistant system, electronic stability program, hill hold, intarder, adaptive cruise control, lane departure warning system, advanced emergency braking system, daytime running lights and driver attention support.